When the months-long family drama for control of Viacom was made official in an oddly-timed press release Saturday night, one voice was missing: The man at the center of the dispute, Sumner Redstone. Redstone, 93, is the controlling shareholder of Viacom, one of the world's largest media companies. He has been in poor health for several years. Some people close to him have said that he can barely speak. His mental competency has been challenged. But his public relations representatives said Saturday that he is happy with the settlement's outcome. His daughter Shari Redstone, who has succeeded in deposing longtime CEO Philippe Dauman, has been taking the lead on public statements and positioning. Sumner and Shari were previously estranged, but they are now back in each other's lives. As a tug-of-war over the company's future unfolded earlier this year, Dauman and his allies accused Shari of taking advantage of her ailing father. The settlement resolves various lawsuits and countersuits between the two sides. The Viacom board voted to approve the deal on Thursday, but it was not publicly announced until Saturday night. Dauman "will resign immediately," the press release said. Viacom COO Tom Dooley will take Dauman's place, but only through September 30. After that point, the newly expanded Viacom board -- with five new members selected by the Redstones -- "will make a decision on succession plans," according to the press release. Shari Redstone is the non-executive vice chair of Viacom (VIA). The Wall Street Journal said the settlement completed her "stunning rise." "Often at odds with her now-ailing father over the years, she is poised to take pole position in his empire," the newspaper said. Dauman, Dooley, and Shari Redstone were all quoted in the announcement on Saturday. 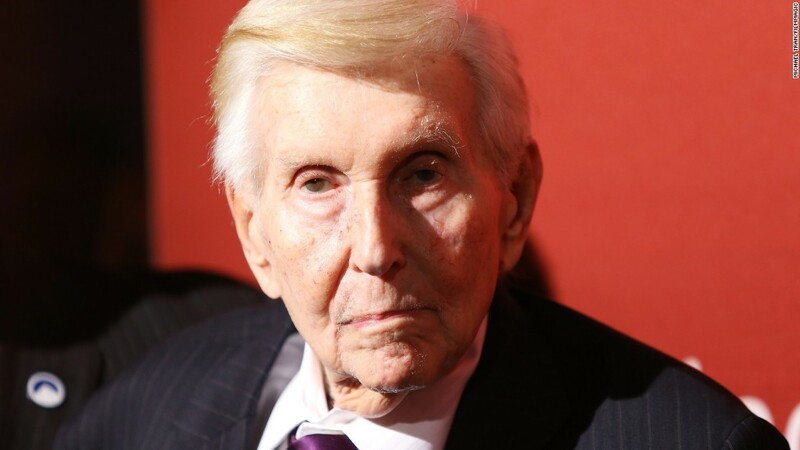 But Sumner Redstone was not, even though he remains the chairman emeritus of Viacom and the head of National Amusements, the holding company that controls both Viacom and CBS. Viacom deferred questions to National Amusements, or NAI for short. A spokeswoman for NAI, Sara Evans, said "Sumner's very happy with the outcome and approved the release today." Evans said that "Sumner participated in both the Viacom and NAI board meetings. He is in touch with his lawyers virtually every day and has been a part of this process every step of the way." An external spokesman for Sumner, Mike Lawrence, said that "Sumner fully supports the settlement terms, which honor the changes he made to the trustees of his trust and to the boards of National Amusements and Viacom." In response to followup questions about how he knows this, Lawrence said, "His legal counsel told me. And they are communicating with Sumner daily."